The east wing addition of Bennett Day School is rising fast! Once the concrete foundation work was completed and the steel arrived, the ironworkers quickly assembled the steel beams into place. Due to the tight constraints of the space, the contractors used the alley parking area to position the crane so it could better hoist and arrange the steel as the building grew vertically. We’re excited at the progress of the north half of the expansion, and it is almost complete! The fourth floor was put into place in the middle of October, and all that remains of the structural component is for the concrete floors to be poured. Once this is complete, the crane will be removed and work will begin on the southern half of the addition. The contractors are currently preparing the foundation work for this section of the building. 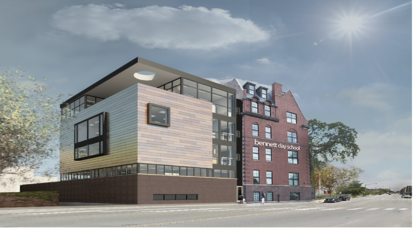 With approximately 15,000 square feet of additional space, the eastern addition will house the forthcoming Upper School, which will welcome its first class in the fall of 2019. In addition to classrooms, the space will house an expanded cafeteria, recreation area and a music studio. With the steel structure now in place, visitors can appreciate the full magnitude of the east wing expansion. 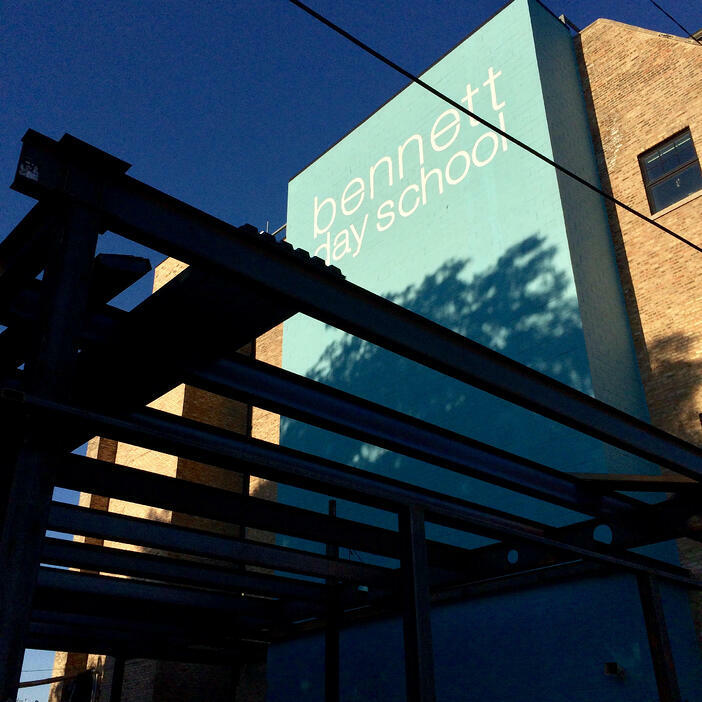 Join us for Bennett Day Upper School's Open House on November 10 to learn more about the program and see renderings of the space upon completion!